A mix of the best of the Fall 2018 Kaffe Collective in sunset hues both dark and gloweing. 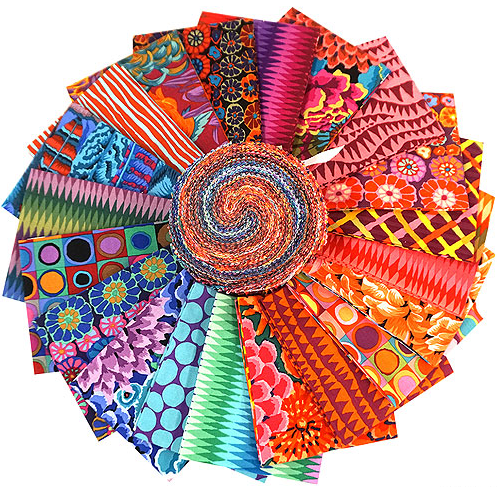 Infuse the creative spirit and energy we know and love from Kaffe Fassett into your latest designs with this fun pre-cut pack. 'Fall 2018 – Night' Design Roll by the Kaffe Fassett Collective, includes forty strips, each strip is about 2-1/2″ x 44″.